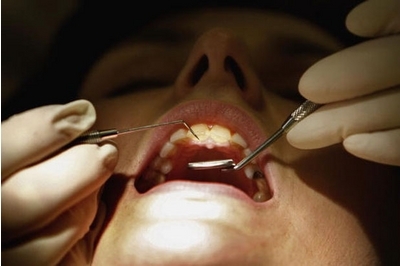 Almost 3,000 dental patients have been warned of a “slight risk” that they may have been exposed to HIV after a former dentist who treated them was found to have the infection. The former dentist, who has not been named to protect patient confidentiality, treated people in Paisley and Dumfries over nearly a decade. Patients in the NHS Greater Glasgow and Clyde and NHS Dumfries and Galloway areas have been warned as a precaution of “a very slight risk that they might have been exposed to the virus”. There have been 30 similar patient notifications in the UK in the last 25 years. Around 10,000 people have been tested and no one has been found to have caught HIV as a result of medical or dental treatment. The vast majority of patients have been contacted but around 250 NHS patients and 230 private patients have not yet been traced. The dentist treated around 3000 people at Kelburne Dental Surgery in Paisley between January 2004 and March this year, and provided locum Sunday emergency cover at Nithbank Hospital, Dumfries between April 2004 and 2007. Dr Syed Ahmed, consultant in public health medicine at Greater Glasgow and Clyde, said: “It is very rare for HIV to be passed from a healthcare practitioner to a patient because all work follows strict infection-control measures. “These measures are designed to prevent infections like HIV being passed between people and through our investigations into this case, we are confident that all appropriate infection-control measures were followed by the dentist. “Whilst we therefore think the risk is extremely low, we cannot guarantee that there is no risk, so we have set up a freephone helpline where patients can ask questions and then decide if they want to have an HIV test. Dr Derek Cox, director of public health at NHS Dumfries and Galloway, said: “We have identified that 247 patients were treated by this dentist. Of these, we are unable to find addresses for 14, almost certainly because they no longer live in Dumfries and Galloway. This entry was posted in English and tagged 3000 Scottish patients, Dentist, HIV, slight risk, your dentist exposed you to HIV risk by kiumars. Bookmark the permalink.